Welcome to Bear Creek Family Dentistry North Arlington Office. Bear Creek Family Dentistry has been serving Arlington families for nearly 3 decades, and you simply won’t find better care and warmer service anywhere else. 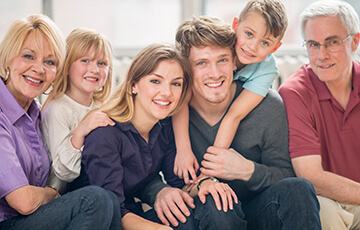 Our North Arlington location will be able to meet all of your family’s dental needs now, as well as in the future. How? 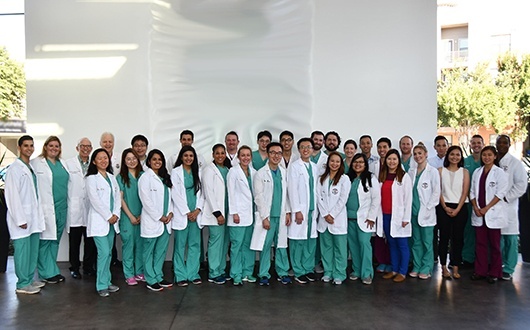 Because we have general dentists working right alongside specialists such as pediatric dentists, orthodontists, oral surgeons, and prosthodontists. That means you’ll always have an expert helping you, and your treatment plans will have the benefit of the combined knowledge of numerous experienced dental professionals. 532 W Randol Mill Rd. We are right off of N Cooper St. between Cora St. and Fuller St. We are near the Southeast Public Health Center, Arlington Camera, Inc., and H&R Block. If you are heading south on Cooper, you’ll actually pass Randol Mill and turn left immediately after Elrod’s Cost Plus Supermarket, and our office will be on your left. If you’re heading north on Cooper, take your first right just after Fuller St., and we’ll be on your left. We've helped countless friends and families all across Arlington smile bigger and brighter. Below are just a few of the kind words our actual patients have said about us from reviews around the web! Our practice in Town North is happy to take your dental insurance. We are in-network with most major providers, and you can find a complete list right here. We will always make sure that you know what you need to pay before any treatment is done, and our team will work directly with your provider to get the most out of your plan. In you don’t have dental insurance, you can easily get low-to-no interest financing with our partners at CareCredit. Our Town North location is happy to provide basic preventive/family dentistry services. These treatments are essential to helping you achieve a healthy smile and keep it that way. With just two short visits each year, our team can catch small dental issues and stop them before they can become a problem. Better yet, these treatments are great for the entire family, and we encourage you to bring everyone in at the same time for maximum convenience! Restorative dentistry is specially for rebuilding smiles that have seen better days. Whether you have a slightly decayed tooth, one with a small chip, or a tooth that is completely missing, we can help you. Fillings and crowns can be used to renew the strength of weakened teeth, while bridges and dentures can fill in the gaps in your smile. In fact, we can also help you get dental implants, which are widely considered the “gold standard” for tooth replacement. What your smile needs, we have you covered. When you bring you little one in to see us, they will only get the best. 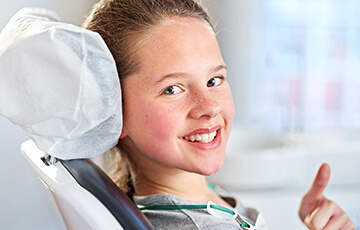 Our board-certified pediatric dentist has taken years of additional training to meet the specific dental needs of children. That means they’ll be able to offer them child-friendly treatments like dental sealants and fluoride treatments, but also that they understand the need for a gentle touch. We’ll always take the time to make sure your child is perfectly comfortable in our office so they’ll always be eager to come back. 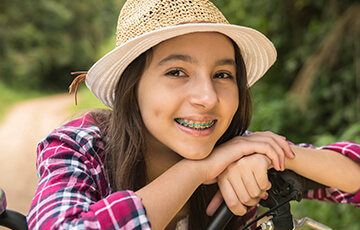 Traditional orthodontic braces have been used for decades to correct crooked teeth, crowded teeth, and bite problems because they are one of the most reliable and durable treatments available today. At Bear Creek Family Dentistry in Town North, we can get you the orthodontic care you need right here—no need for a referral! In fact, since we have so many doctors under one roof, your orthodontist will be able to work with your general dentist to make sure your teeth are straightened as quickly as possible.